Disney Infinity was a good idea with some very cool toys, and its demise had everything to do with corporate mismanagement and very little to do with Disney Infinity. So seeing this footage of what was supposed to be the game’s fourth iteration stings. 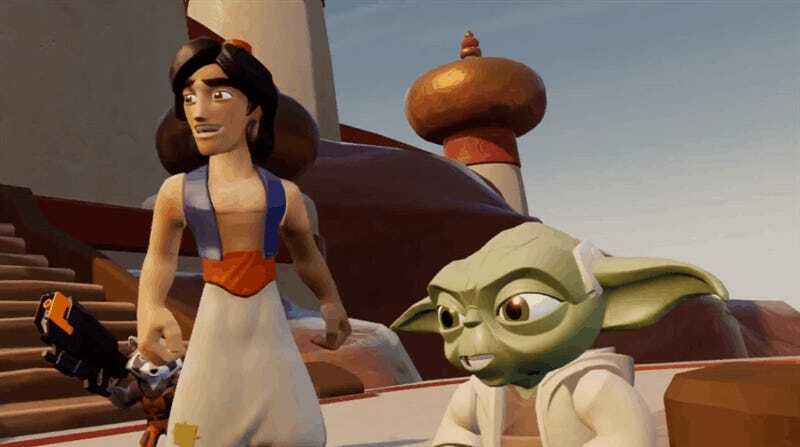 Disney Infinity 4.0: Kingdoms, as seen here in this pre-alpha, for-internal-purposes-only footage (via Chaserjoey @ Resetera), was going to feature a campaign mode that smashed Aladdin and Star Wars together. Sure, it looks the same as the existing games—that’s the point, this was a modular experience—but one thing Disney Infinity improved each time out was its actual game parts, so it’s a shame we’ll never get to play this.